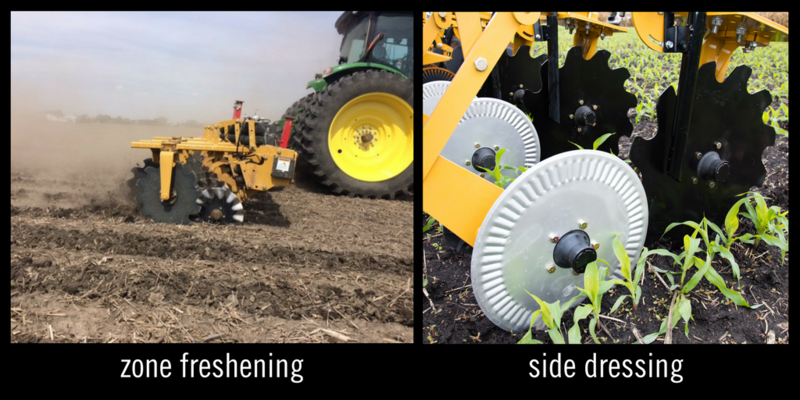 Environmental Tillage Systems (ETS), the creator of the SoilWarrior, announces the launch of the all new ZoneNinjaTM, a dual-purpose tool that can freshen zones one day and convert to side-dress the next - the ultimate combination in one piece of proven, field-tested equipment. It features the new ZoneFreshenerTM row units mounted on a new 3-point toolbar. *Image represents field-tested prototype. Production model design may vary. Join the list, and you’ll be the first to get updates on the new gold standard in nutrient placement flexibility.